Understanding the Brain - Description | W. W. Norton & Company Ltd.
An examination of what makes us human and unique among all creatures—our brains. 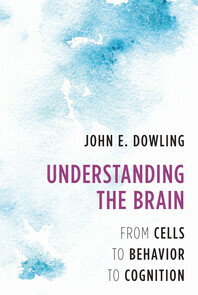 No reader curious about our “little grey cells” will want to pass up Harvard neuroscientist John E. Dowling’s brief introduction to the brain. 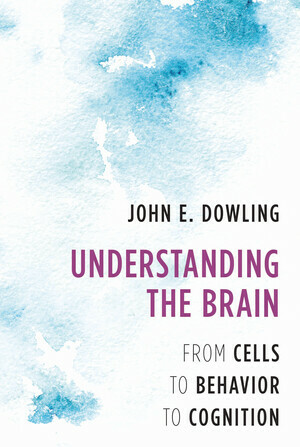 In this up-to-date revision of his 1998 book Creating Mind, Dowling conveys the essence and vitality of the field of neuroscience—examining the progress we’ve made in understanding how brains work and shedding light on discoveries to do with aging, mental illness and brain health. The first half of the book provides the nuts-and-bolts necessary for an up-to-date understanding of the brain. Covering the general organisation of the brain, early chapters explain how cells communicate with one another to enable us to experience the world. The rest of the book touches on higher-level concepts such as vision, perception, language, memory, emotion and consciousness. Beautifully illustrated and lucidly written, this introduction elegantly reveals the beauty of the organ that makes us uniquely human. From a distinguished teacher and scholar, this beautifully illustratedand lucidly written book reveals the beauty of the organ that makes usuniquely human.